It’s in our nature to ask questions – especially ‘What if?’ and ‘Why not?’. Our Innovation Lab is where we experiment and explore, trying out new tools and novel approaches to solving intractable problems. Many are non-starters, and we’re fine with that. Digital Green complements its video approach of disseminating information by integrating other technology channels to its program. One of them is Interactive Voice Response (IVR). 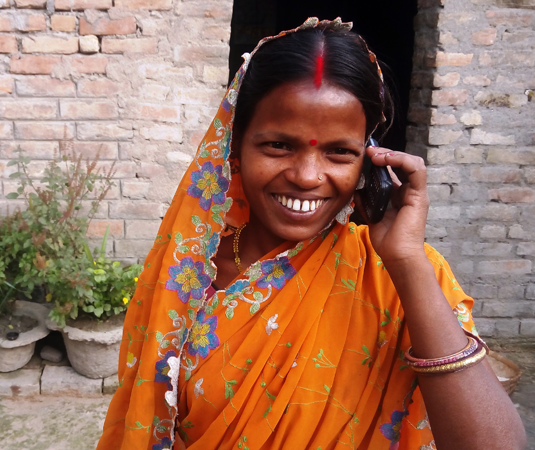 IVR helps establish direct contact with our beneficiaries who can now be reached anytime, anywhere, in a cost effective manner using even a feature phone. 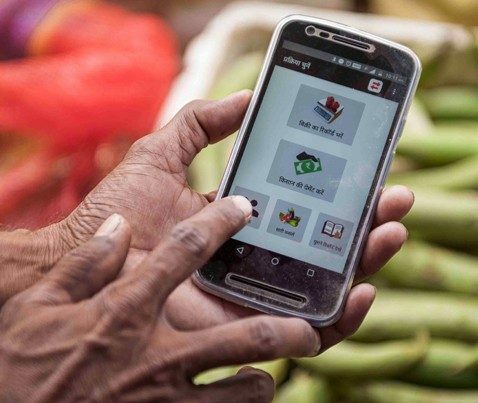 The farmers participating in Loop generally have bank accounts, so as we scale, we are moving toward digital payment systems, testing the most effective way to digitally record transactions and issue automated payments. Digital Green has historically focused on physically visiting and observing practices adopted by farmers. 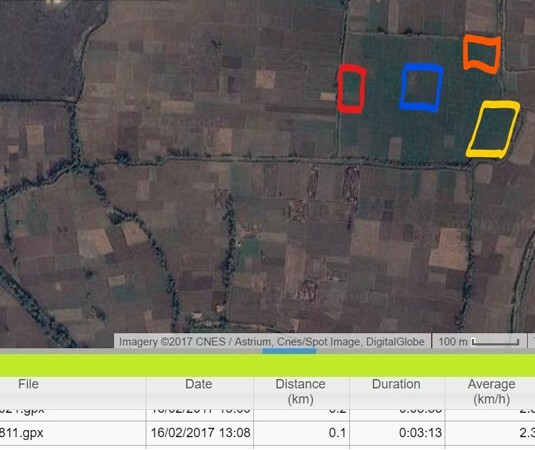 We are running a feasibility study which will test whether satellite-based yield estimations are a viable tool for assessing yield, by validating it against our in-person verifications in partnership with Stanford University’s Dr. David Lobell. VideoKheti is a responsive web application that provides access to our video library through an easy-to-navigate interface for low-literate farmers and extension workers on any device. The navigational layer uses graphics, audio, and touch interaction to make simple choices in crop, crop phase and activity to reach the desired video. 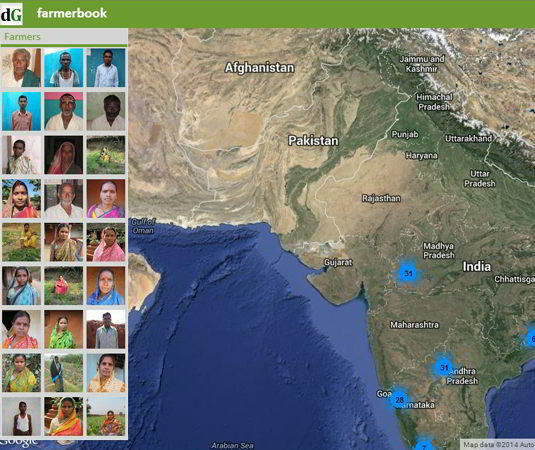 Farmerbook is an open-access platform that displays detailed timeline-based activities of farmers we have worked with, along with villages plotted on Google Maps. The application stimulates healthy competition among partners, village facilitators, and community members through the sharing of performance data and community feedback. 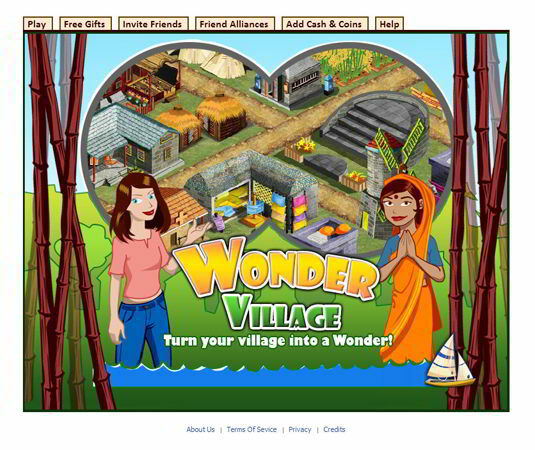 Our Facebook game, WonderVillage, allows external audiences to learn about and engage in issues related to rural development. Players set up a simulated village economy. 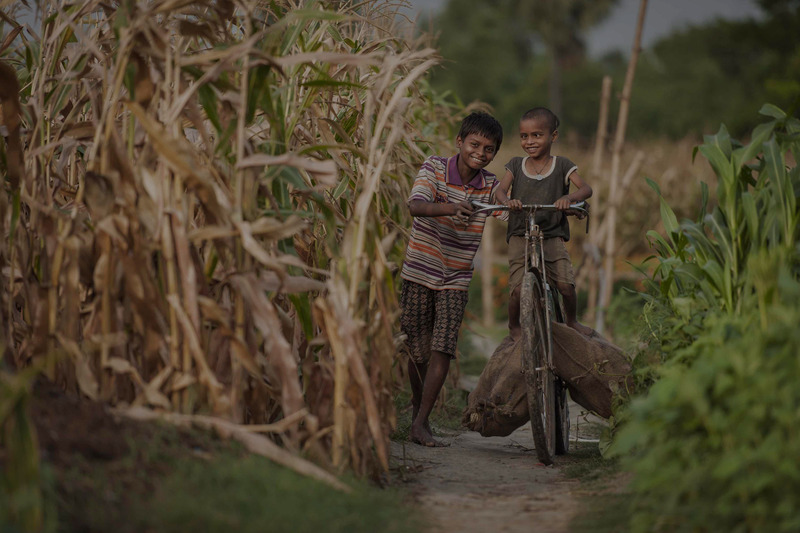 Placed in a resource-constrained setting, players pursue quests like setting up small farms of paddy and maize and supplying raw materials to farmers' markets. 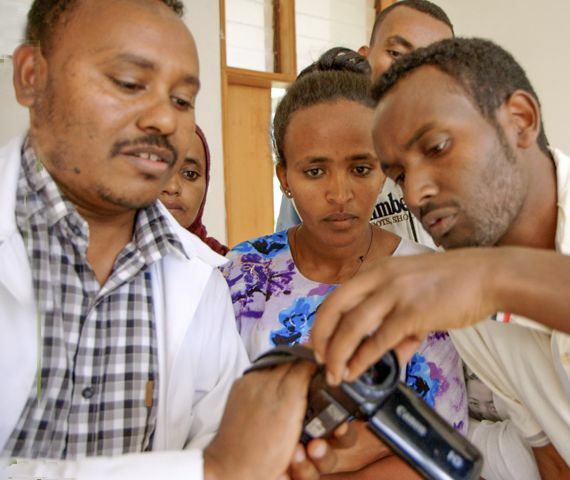 Our technology-enabled approach has reached over 1.8 million of the world’s poorest people. And we’re just getting started.